Our vision is to create healthy, functioning ecosystems in Thurston County through advocacy, education, and technical assistance efforts; thereby empowering every citizen of Thurston County to be a steward of the environment. Natural resources, such as soil, water, air, plants, and animals, can be adversely affected by the way we use our land. Agricultural operations can be major contributors of non-point source pollution if not managed properly. Through the process of Conservation Planning and the implementation of Best Management Practices (BMP’s); we assist our clients in increasing farm production and pleasant aesthetics while reducing the impacts of farm activities on our shared natural resources. Clients can learn useful information and obtain assistance on implementing BMP’s including; gutter and downspout installation, cross fencing, pasture renovation, stream fencing, stream side and wetland planting for wildlife habitat and erosion control, creating sacrifice areas and more. A list of recommended alternatives to solve production and natural resource issues. District Resource Technicians and Specialists assist landowners in developing these plans. Together, the client and District staff will explore management challenges and objectives as well as possible impacts on soils, surface and groundwater and other natural resources. For each challenge or concern, alternative management practices are suggested with the goals of the client in mind. The decision to implement these alternatives, more commonly known as Best Management Practices (BMPs) rests solely on the landowner. In certain cases, District staff can also assist the landowner with exploring options of financial assistance for the implementation of BMPs. You don’t have to be a commercial operation to benefit from developing a conservation plan! 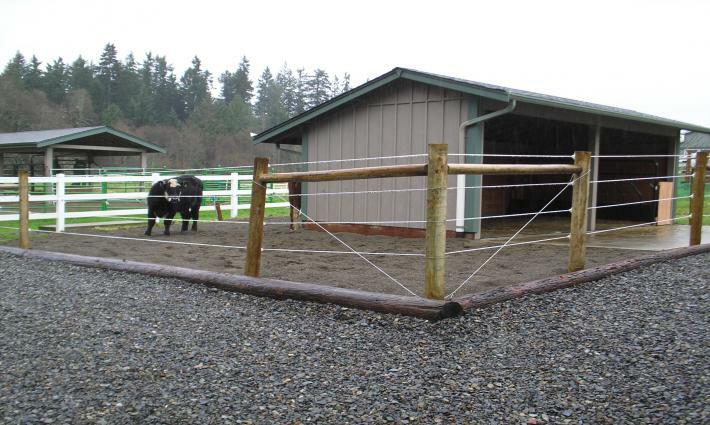 Thurston Conservation District works with farms of all sizes, from backyard horse or llama owners to dairy and beef operations with larger numbers of livestock. We appreciate the diversity of the land in Thurston County and the diversity of ideas in its population. A Conservation Plan is developed specifically for you and your property. These plans are as dynamic as the individuals who create them and can be modified as management plans and/or circumstances change. Residents who develop a Conservation Plan and implement the BMPs as scheduled in the plan will be in accordance with the Non-Point Source Ordinance of Thurston County. 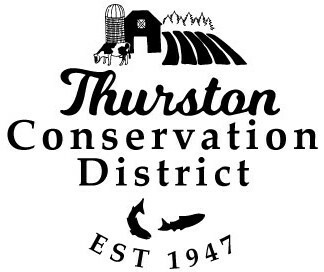 Thurston Conservation District provides free technical assistance for residents of Thurston County. Our qualified natural resource staff members are here to assist landowners with all types of questions on land management such as crop and livestock advice or riparian habitat enhancement, just ask! SS Food System Network Meeting May 1, 2019 at 9:30 am – 11:30 am Thurston Regional Planning Council, 2424 Heritage Ct SW a, Olympia, WA 98502, USA Contact Sarah for more information.